Hi. We're MetaLab. We're an interface design agency. We work out of three countries, have remote offices in two of them, and have worked with clients ranging from bands to Fortune 500 companies. We're advocates of simple, pixel-perfect design, and value clarity above all else. Our clients include: MTV, Mozilla, Qik, Wine Library, SendSpace, and Harvard University. Ballpark is a great new way of sending estimates and invoices online, and we’re proud to say that it’s our very own creation. We built Ballpark to focus on simple communication - something that seemed to be lost on so many of the current invoicing apps out there, who would sooner pile on features than think of how they’d affect the experience. 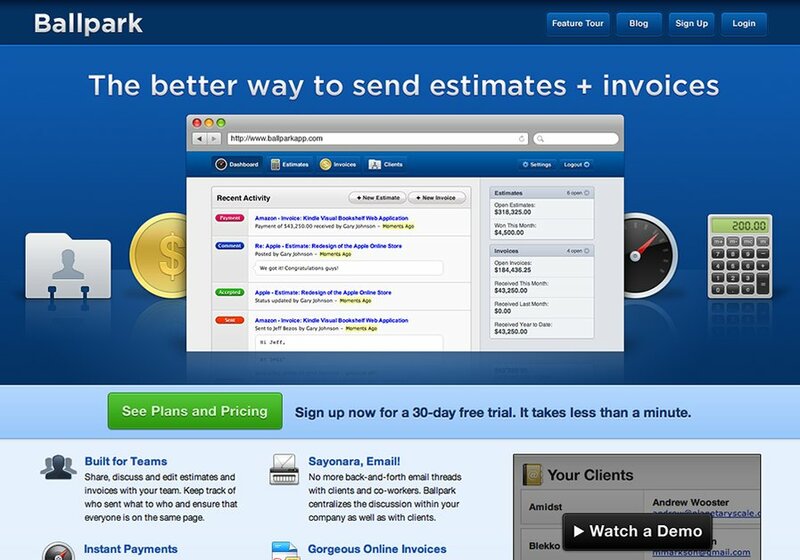 Built for businesses of all sizes, Ballpark helps teams keep track of their estimates and invoices, work collaboratively, and feel more organized by centralizing all their email threads into one coherent conversation.